A new 3,000 square foot warehouse and training facility will mean faster start times for new Ready Decks® Franchise Systems franchisees. Founder and President Bradley Johns said the new facility shows his company’s commitment to providing franchise partners with the tools necessary to succeed. 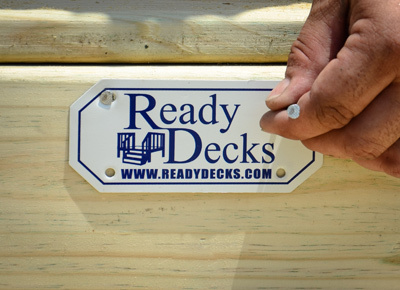 “Our comprehensive training is one of the things that set Ready Decks® apart from the competition,” said Johns. “With this new facility, we will be even better positioned to offer the kinds of knowledge franchisees require in today’s competitive home improvement market.” The new facility features a working Ready Decks® franchise warehouse and classroom space. Also, the facility includes space for demonstrating the construction and marketing methods, as well as patented tools that set Ready Decks® apart from other home improvement franchise opportunities.